Artist Lisa Malyon has an eye for the most intricate arcs and lines that form the structures that surround us. 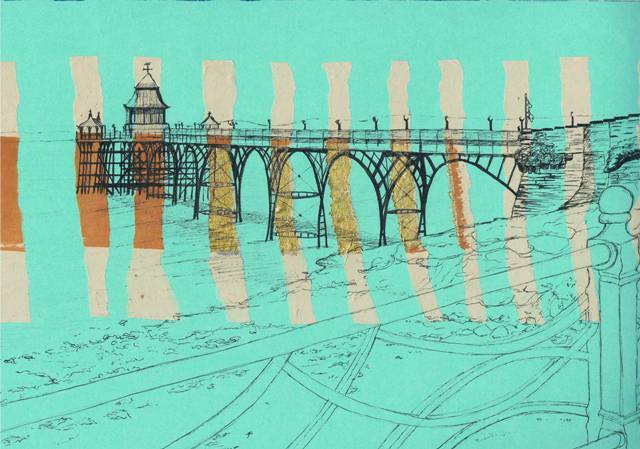 Her work mainly focuses on built things – bridges, piers and cranes are among her muses, captured in ink and on paper, with a touch of collage adding texture and a pleasingly abstract element. Textiles were an early passion for Lisa, leading her to gain a degree in Textile Design before “going slightly adrift with my career as a retail buyer.” She began drawing seriously after moving to Bristol in 2000. Exhibiting at Bocabar Bristol in 2009 encouraged Lisa to find new possibilities for her line drawings. 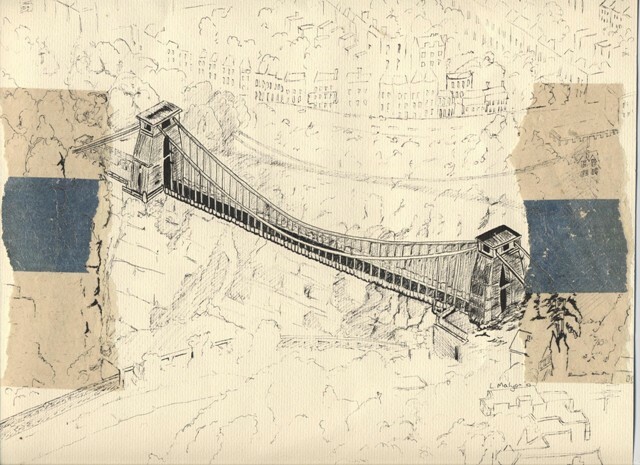 Today, Lisa’s artwork, as well as her inspirations, are scattered throughout Bristol and beyond, including a selection of framed prints are exhibited at Hidden Art Gallery in Clifton Arcade, Clifton, Bristol, and original drawings at Café Grounded, Fishponds, Bristol. 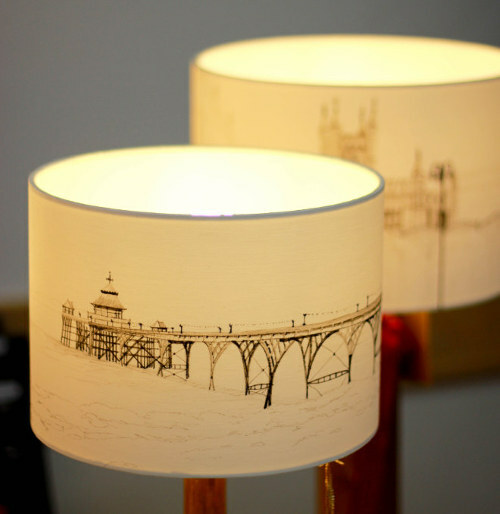 Lisa will be exhibiting her hand drawn lampshades in the The Southville Centre at Bristol’s Southbank Arts Trail on 14th and 15th May 2016. Find Lisa at www.lisamalyondraws.co.uk, www.facebook.com/LMDraws and on Twitter at @lmalyondraws.